River and Sky students completed this lesson over the course of two art classes. 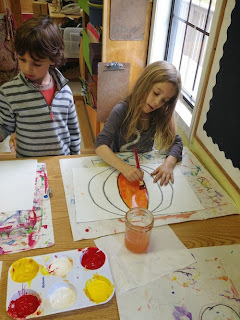 In the first class the students learned how to draw a pumpkin using curved lines. We began by looking at a pumpkin and noticing the segments. 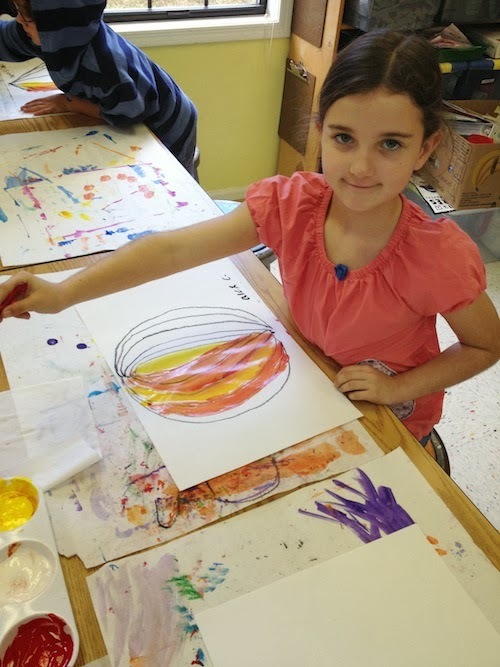 Once the drawings were complete, the students painted their pumpkins. 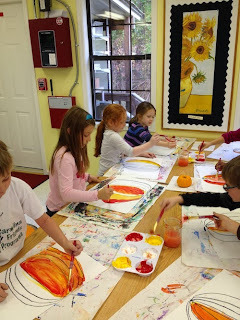 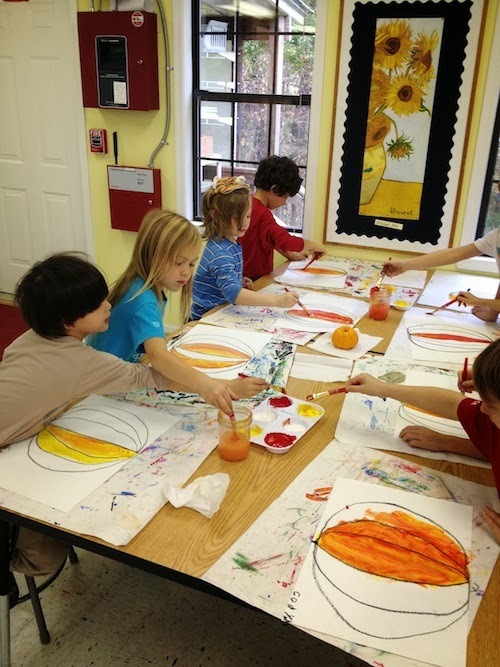 They had fun mixing the three colors of red, yellow and white to create the many shades of pumpkin colors that you see. 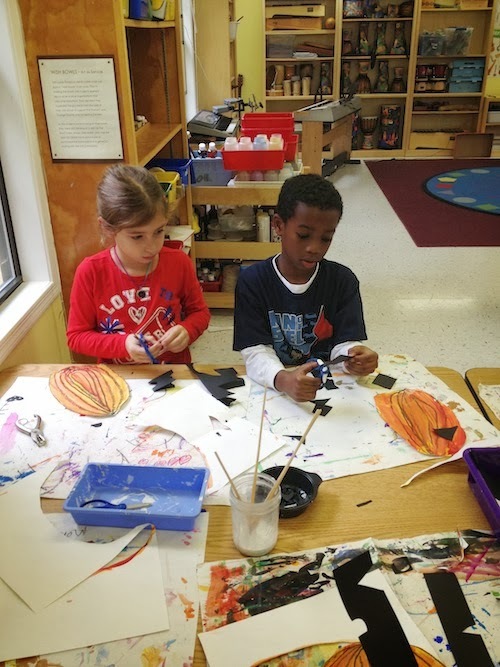 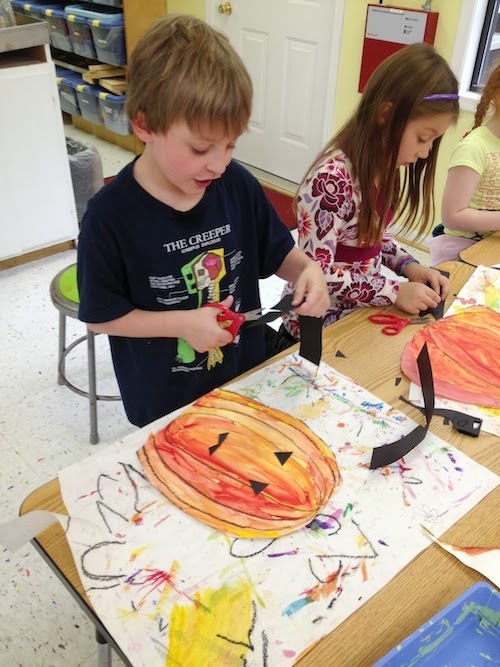 In the second class, the students cut their pumpkins out with scissors and then created the pumpkin faces using primarily black and white paper scraps. They used watered down glue to adhere the face designs to the pumpkins.